20 Jan NAPCP Announces Photographer of the Year: 2016! 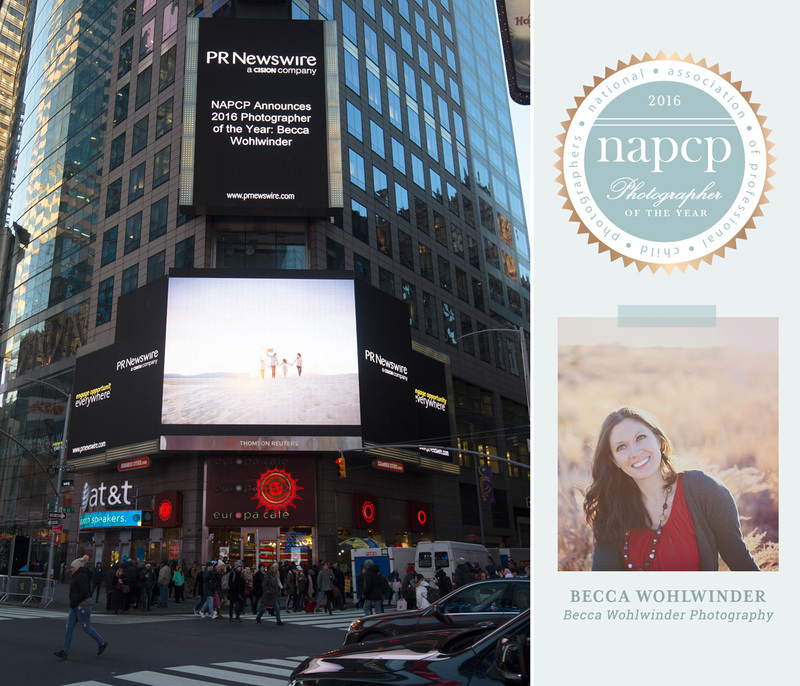 We are thrilled to announce our 2016 Photographer of the Year, Becca Wohlwinder of Becca Wohlwinder Photography. One of Becca’s winning images was featured on a digital billboard in New York City’s immense, brilliant, and monumental Times Square. As industry buzz around, and participation in, our elite competition grows, the NAPCP panel of of photography experts and luminaries critiqued thousands of image submissions for creativity, impact, composition, and technical merit across a range of categories including family, maternity, seniors, newborn, tween, baby, sibling, and child. Congratulations, Becca Wohlwinder! NAPCP 2016 Photographer of the Year!